London stocks were flat in early trade on Tuesday as investors eyed a slew of key UK jobs data and the pound continued to gain ground. 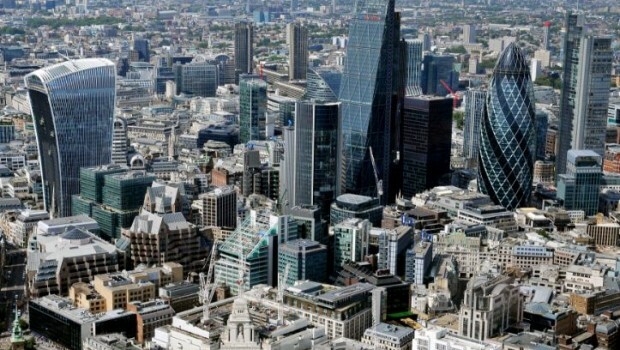 The FTSE 100 was steady at 7,198.18, while the pound was flat against the euro at 1.1584 and 0.2% firmer versus the dollar at 1.4371 after hitting its strongest level since the Brexit vote on Monday, ahead of EU negotiations this week. Average earnings, the ILO unemployment rate and the claimant count are all due to be published by the Office for National Statistics at 0930 BST. Analyst Connor Campbell at Spreadex said: "Whereas Monday’s rather sparse economic calendar left sterling to its own devices, the next few days may provide a challenge to the pound’s recent push. As it has been since inflation - which is updated tomorrow - started to sky rocket, the focus of Tuesday’s jobs report will be wage growth. "And things are looking up - after months and months of stagnation, the average earnings index is set to build on the gathering momentum seen in March, with analysts forecasting a near two and a half year high of 3.0%. If accurate that reading may give sterling another hawkish boost, and could see cable tease $1.44." Ahead of that though, investors were digesting the latest figures out of China, which showed the economy there grew more than expected in the first quarter. China's economy grew 6.8%, surpassing estimates for 6.7% growth on the year. Other data was mixed, however, with Chinese retail sales for March better than expected but industrial output growth for March and fixed asset investment for the first quarter both missing expectations. In corporate news, Primark owner Associated British Foods rallied after it left its annual outlook unchanged as falling profit at the company’s sugar business caused a 1% decline in first-half profit. Melrose Industries' was in the black as its takeover of GKN will be declared wholly unconditional later this week after the turnaround specialists received acceptances over more than 81% of the engineer's shares. Specialist emerging markets asset manager Ashmore Group racked up strong gains after posting a 10% rise in third-quarter assets under management as net inflows were at their best level since June 2013. JD Sports surged after the retailer posted a 24% jump in full-year profit as sales grew and the company's international expansion paid off. Intu Properties - which is set to be taken over by Hammerson - edged higher after saying it saw record retailer demand and a strong operating performance in the first quarter. Roadside assistance and breakdown cover provider AA was sharply higher as its full-year adjusted earnings per share beat forecasts. InterContinental Hotels ticked up as it restated its results for the last two years, with revenue for 2017 more than doubling. Anglo American advanced as it said rough diamond sales at De Beers fell in the third cycle of 2018, but demand remained "good". Tate & Lyle nudged down after announcing the appointment of Mondelez's Imran Nawaz as its new chief financial officer, with effect from 1 August, while Reckitt Benckiser was hit by a downgrade to 'underperform' at Credit Suisse.